With everyone putting up their Christmas Decorations at different times these day you may be wondering when you should put yours up. 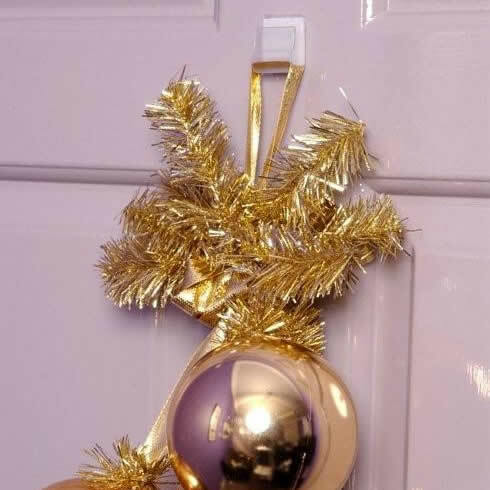 If you’re a stickler for tradition put your decorations up 12 days before Christmas and take them down 12 days after (so 13th December and 6th January) The problem is many of us are keen to get them up sooner because of pleas from excited children and take them down later for the same reason! Whenever you put them up though decorating your home for Christmas is a long held tradition which should be enjoyed not dreaded! And there are ways to make it easier…. Christmas tree decorating is a good place to start and is one tradition that has stood the test of time… the German custom of tabletop Christmas trees was taken to new heights over 100 years ago by the Victorians who placed them on the floor in their homes and decorated them with fancy paper ornaments, candles and chocolate. But it didn’t stop there, just as we do today the Victorians decorated the mantle, bannisters and sideboard – anywhere they could with mistletoe and garlands. 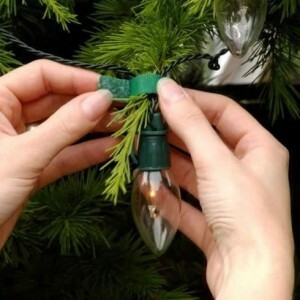 The way you put away your tree decorations is an important part to making this easy. Don’t just throw your lights and baubles into a carrier bag when taking them down (you know who you are!) – make life easier by untangling lights and boxing your tinsel and baubles separately and make use of good storage bags, so that it will be much easier in years to come! Think of a theme and follow it! For example stick to one or two colours. When decorating a tree think about proportion – put larger decorations at the bottom and smaller ones at the top of the tree. The same applies to your other decorations too! Hang Christmas cards down the door and window frames for a quick and easy way to add some colour. Not only is this a cheap way to decorate rooms, it also adds a personal element to your decorations. Children love to get involved in decorating, so encouraging them to make something to put up also makes it personal and they love it! Lights don’t need to be kept to the tree, they look great when twisted around stair railings, over mantel places and door frames. 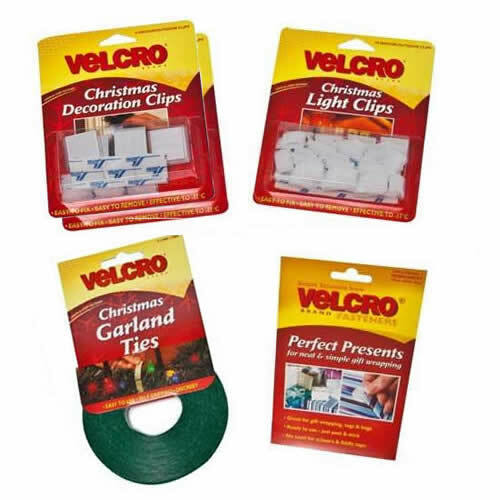 Easily light up the tree with Velcro® Christmas Light Clips, and make the most of indoor plants by decorating them with lights (if big enough) or tinsel, ribbon and bows. Make your Christmas decorating even easier by checking out our range of new Velcro® products. * Christmas Garland Ties – weather resistant, strong, durable & self-gripping. Cut to size.